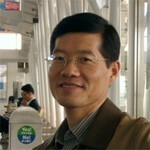 Won-Chun Oh is a Professor in the Department of Advanced materials and engineering at Hanseo University in Korea. He received his B.S. (1986), MS (1988) from Dankook University in Seoul, Korea. He obtained a Ph.D. degree at same University in 1995 with his thesis titled, ‘A Study on the Deintercalation Mechanism for Stage 1, 2 of H2SO4-Graphite Intercalation Compounds’. And, he worked as senior researcher first in Seoul National University of Education during 1990-1998. He started his current faculty position as full Professor at Hanseo University in 1998. And, he is guest professor in Anhui University of Architecture, Hefei University and Anhui University of Science and Technology in China. He obtained the ‘Research Front’ award from Korean Carbon Society in 2004, for his pioneering work on ordered ACF electrodes, and obtained the ‘Yangsong’ award from Korea Ceramic Society in 2009, the “Excellent Paper Award” from Korea Journal of Material Research in 2010, and the Best Paper Award” from Journal of Industrial and Engineering Chemistry in 2011 and 2012 for his pioneering work on ordered metal combining nanomaterials and photocatalysts, and Award of appreciation from ICMMA2011 in China. He is ICMMA committee board member and, was appointed as one of the “Conference Chairman and Local Chairman” from 2007 to 2014. His current research interest is in synthesis of nanostructured materials such as metal/nanocomposite, graphene materials and metal nanoparticles, and their catalytic applications for future energy sources and green chemical technologies. He is the author or a coauthor of 498 papers published in domestic and international journals. He serves as the Editor Chief of the Journal of Phtocatalysis Science, and the Advisory Board Member of the Asian journal of Chemistry.